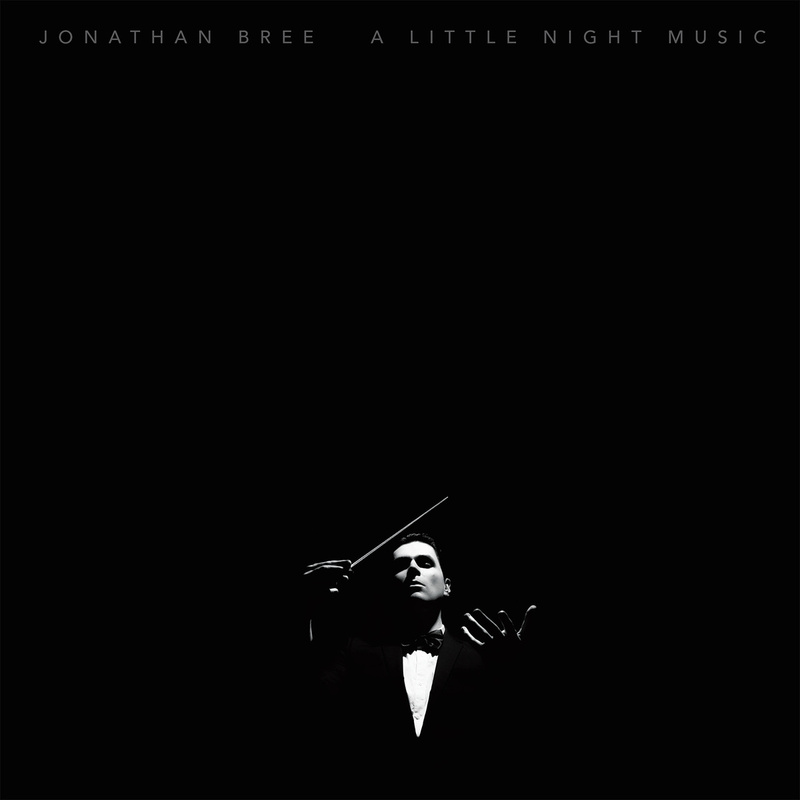 I feel like I’ve given a lot of coverage to the jangling guitar types in the Oceanic area, so why not turn our attention to this beautiful piece of pop music from Auckland’s Jonathan Bree. Jonathan’s been working on this album for a bit, and it’s said to have a lot of classical influences from the likes of Tchaikovsky. Still, the construction and Bree’s vocal tones make him sound a little bit more like Jarvis Cocker, in my mind at least. 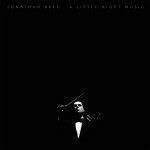 He’ll be releasing A Little Night Music on October 23rd via Lil Chief Records. You can also view a great video for the song HERE. Last week I raved about my man crush on former Pulp frontman Jarvis Cocker, so I couldn’t resist running this track. Sure, its not exactly what one thinks of with relation to JC, but his voice is so perfectly fitting to the electro work of Discodeine. This is what all dance music should be like, if I made in my room on my laptop. I’m just tossing this out there because Jarvis is one of the Guys I’d Go Gay For, so check out this song, and just chalk up another sweet tune that proves the sexual prowess of one of my favorite musicians. 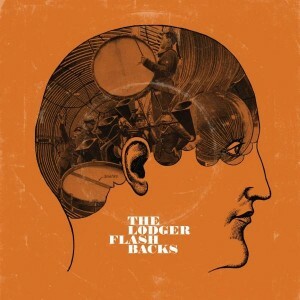 Leeds’ band The Lodger have released two albums to date, those being filled with angular guitar knives and steady drum beats. Not keen to repeat themselves, the band changed it all a bit for their new album Flashbacks. While it certainly retains a certain sense of familiarity for fans of the group, you’ll find a bit more exploration in regards to the overall sound of the band. With the band’s first single “Back of My Mind” you get the sense that singer Ben Sidall is, as usual, always contemplating the state of his relationships, or his life as he states “I fall to the ground and say/I’m lost in the back of my mind.” Thematically, there’s a bit of stasis here, but the song itself is about as dense a song as the group has writtern; it’s as if the song is wearing some sort of grey (not gray since they’re British) sweater. All in all, it’s a step to the side of minimalist pop, keeping the band’s personas while searching for new ground. Stylistically, “Have a Little Faith in People” and “Time to Wait” return to hallowed ground, but even then the band is building their sonic palate, adding tiny flourishes that you might not pick up on, but definitely add to the sound. Horns are used atop the hooky guitar chords in both songs, as are female backing vocals listed only as Sarah and Georgia. All these miniscule moves remove a bit of the energy, creating a layer of warmth that does indeed alter The Lodger on this record. This album’s title track has quickly become one of my favorite tracks as I’ve listened over and over again. It’s such an understated quiet number, utilizing the additional string elements in the beginning of the track. While it does come off as a bit of an elegy to a loved one, the emphatic climax of the song, coming off somewhat like a Jarvis Cocker revelation, seems to show Ben moving on from this loved one. A gorgeous closing minute and a half of the song is begun by a melancholy trickling piano just before the horns come in, as if to rejoice at life’s progress. Whoever this girl is surely did a number on Mr. Sidall. “Lost” tells the story of a narrator nervous about losing his girl, eventually hoping she’ll let him go, as she’s left him lost in some confused state of mind. Once again, string arrangements really bring this song home, adding more depth than one would normally except from this band (no offense fellas). Still, the girl’s memory pushes on in this collection, encouraging Ben to lose himself once again in “Nothing’s Impossible,” which is probably the song that most resembles the band’s previous work. It’s hard, as a fan, not to be in love with this record entirely, but it really is a solid piece of work. While the jangling guitar hooks and precision percussion remain, they’ve added more to fill out the sound of Flashbacks. Using horns, strings and female vocals to add a little contrast has created a gentle album eager to fill your days with innumerable amounts of listening pleasure. It’s consistently good, listen after listen, making me (and you I hope) fall in love with The Lodger all over again. 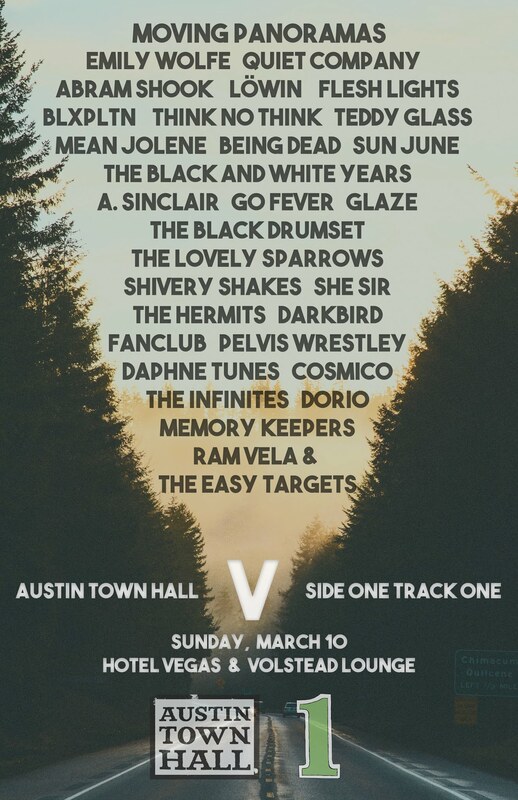 Years ago, Dev Hynes had it all as a member of Test Icicles. The English press fawned over him and his mates, and yet it didn’t last. Still, he has maintained his role in the spotlight by pushing forward with Lightspeed Champion. His second album under the moniker, Life Is Sweet! Nice to Meet You, carries him in a slightly different direction than his first outing, albeit one that exhibits Dev taking more musical risks. The moment you realize Dev has grown up, at least in the musical sense of the word, is the moment you arrive at the album’s single “Marlene.” For one, the production here has been amped up quite a bit, which surpasses his earlier work on Falling of the Lavender Bridge. Aside from the production, the arrangements here are much larger, and a touch more significant. Just take the very British “The Big Guns of Highsmith,” which uses a chorus from what appears to be a troupe of actors who adore Sweeney Todd. Such touches have more emphasis this time around, rather than just acting as filler for the empty space left behind by his lone guitar. What hasn’t changed a great deal is the subject matter of his songs. He still lives in a world where being left alone and pining for women seem to dominate his thoughts. One can’t blame him too much, as he’s still a young chap, but the future will show if his writing offers more for the listeners. Still, while his lyrics often seem somewhat adolescent, you can see hints of a young Jarvis Cocker lying in wait. His storytelling and his affection for large production bring that all to one’s mind. Those looking for classic Dev, at least in the vein of his other album, will find “Madame Van Damme” a delight. It’s one of the few songs on Life is Sweet… that doesn’t seem to demonstrate his progression as a songwriter. It feels as if he has regressed in age on this song, which also alludes to the lyrical content. All that being said, it’s still a great song. One of the great surprises for those familiar with Dev is that he offers a lot of variation throughout the album. “Middle of the Dark” wraps up the end of the album with a bit of soaring vocals atop a pounding piano. “Smooth Day (at the Library)” seems to find Dev living it up in that dessert bar, singing out his heart, leaving no emotion untouched. You can’t forget the Western-ish feel of “Sweetheart” either! Lightspeed Champion is interesting in this fact because you clearly see all the influences of the man behind the project; he never seems to leave a musical stone unturned. At the end of the day, Life is Sweet! 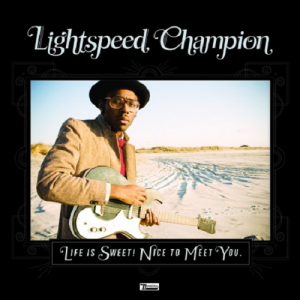 Nice to Meet You is another good Lightspeed Champion record. You’ll find that there are several great songs for you to dwell upon, all depending upon your mood and desire for subject matter. Most listeners will relish the fact that the album is much more dynamic than Dev’s previous work, leading the masses to believe that there is only more great moments to come. After he released Lady’s Bridge, it seemed that the British crooner Richard Hawley could do no wrong with me. As the release drew near for Truelove’s Gutter, I wasn’t quite sure what I expected from this new record. Would it be similar to his previous work, or would he branch out into a new direction, much as his friend Jarvis Cocker has done? Well, as the odd soundscape opening of “As the Dawn Breaks” began, I will say that anxiety crept into my throat. Sure, this dabbling in sonic structuralism was indeed a new direction, but from a man who has blanketed his albums with lush orchestration, it seemed a step too far off. Still, as the song progressed, the music almost loses its focus, bring Hawley’s throaty baritone to the forefront. Perhaps this is where the album would go? When “Open Up Your Door” came on, you could hear the instrumentation that so often backs Richard, although it seemed to be in the distance here, that is until the slow drum work came into the picture. It’s at this point that I found Hawley completely stepping into the role of a modern-day Leonard Cohen. You hang on every syllable, on every gentle note; and eventually, it all breaks into the dense orchestral movement you would expect. It seems fitting to me that this record was already causing me to waiver on my decision to love this album or not. Richard Hawley is not a taste for everyone, though surely everyone can find beauty in his voice, which sounds as guttural as anything you’re likely to find out there. Perhaps the way the instruments traipse about, barely catching your attention until the song requires them to do so, seems striking to most. Almost unimportant. But, how can such songs evoke so much emotional toll on a listener? It made Cohen great. It made, for some, Waits a classic. Surely Richard Hawley will find his place, though his lyrics are that of the forlorn lover. And so it went, to the point where I arrived at “Remorse Code,” the second longest song on Truelove’s Gutter. How does a nine minute long ballad capture you, wrap you around its finger, and throw you upon its back until the end. Listening to the subtle guitar work, I found no answer, only that I adored this song absolutely, as I adore the man singing the words. I didn’t have to go far, one song past, to find “Soldier On.” There’s some biblical allusions here, or at least some references to Christianity, though not in the overt sense. Hawley seemingly walks through this album, pacing himself, creating tension for the listener. It’s as if we’re merely meandering through this tune, until you reach just past the four minute mark where the song crashes into you. It releases you in a wash of cymbals and emotions. By backing it all into the finer moment that is “For Your Lover Give Some Time.” I don’t particularly want to go into the detail of this song, as I’m sure, as with most Hawley tunes, each person will get out of it what they will. It’s such a personal song, for me as a listener, that I don’t dare ruin your impression of it, or what it may offer you. Thus the album walks into the longest song, the perfect ending to Truelove’s Gutter. The epic failure that could be this album’s bookend is not there. Although it may be long, it encapsulates everything you wanted from the end. Your time with Richard Hawley has come to an end, and though you want it to last forever, you needn’t fret, as you can simply relive it time and time again by pressing repeat. I know I will. When legendary producer Steve Albini was rumored to be at the helm of the newest Jarvis Cocker solo outing, Further Complications, many were chomping at the bit, awaiting the arrival of something entirely special. While the album does have a lot of those elements, it’s difficult to attribute these strictly to the presence of Albini’s magical touch. After all, who can really take control of an piece of work by a man like Jarvis. Albini’s production influence is most notable in the first half of the album, especially the first four tracks. Opener, “Angela” hits harder than anything we’ve heard from Jarvis in all his previous work. It’s a fuzzed rocker of a tune, but one would be difficult to identify this as a track that exhibits Cocker at his best. These first four songs all fall to the exact same trap; they succeed in be decent rock tunes, but they fail in the way that they are not your atypical Jarvis piece. With that in mind, we can always be thankful that Jarvis has his usual literary wit in tow, which definitely helps along those early songs. “Hold Still” serves as the turning point in this novel, as the tone of the album takes a drastic turn, and for the most part, this is for the best. The song features Jarvis at his best, with his voice taking on the raspy crooning whisper in your ear, begging you to come hither, which was always his best vocal trick in Pulp. Present hand-claps and backing vocals bring this song back to the orchestrated best moments that broke out on Jarvis. Of course, there is always that whimsical song that hits home with all listeners when Jarvis is rocking the mic. “I Never Said I Was Deep” is this exact song; Jarvis struts his voice in the verses, with that cocky sexual undertone we all know and love. When the chorus comes in, with the character claiming that he isn’t as deep as his lover requests, you are drawn into the magic of the song. This is Jarvis at his absolute best. Bookending the album is “You’re In My Eyes (Discosong),” with the title alluding to the more soulful quality of the instrumentation. Not only his this the longest song on the album, but it’s one where our old friend Jarvis truly returns. This song has all the swagger you expect from Mr. Cocker, but with the feel of your favorite lounge singer. It’s hard not to love a man with such talent. It exemplifies everything that has made Jarvis Cocker one of the more interesting, and vital, musicians of the last two decades. Further Complications is just another notch on his already quite respectable belt. That’s right ladies and gentlemen, Jarvis Cocker is back again. His second solo album is set to be released by Rough Trade on May 18th, which will more than likely be a solid album, just like his last solo album, which was like his Pulp albums, and like his performance on Harry Potter. Now, this new album has uber-producer Steve Albini running the show, so we should expect an edgier Jarvis; I’m game.